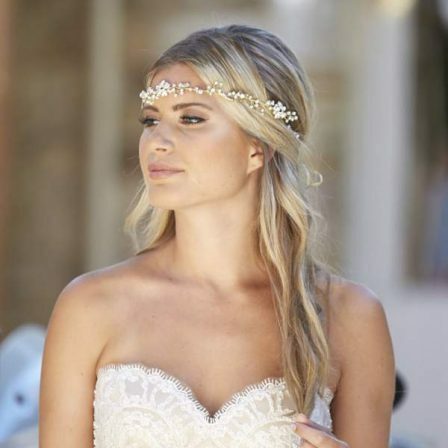 This guide is for brides who are thinking of having a beaded veil. 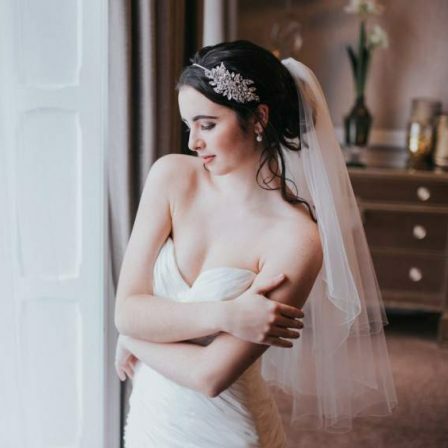 Including veils with crystals, pearls, diamantes, or perhaps a lovely combination of them such as pearls and diamantes mixed – a personal favourite! In this particular section, we’re addressing how the beads will be set out on your veil, and how much bling you will end up with for each option. 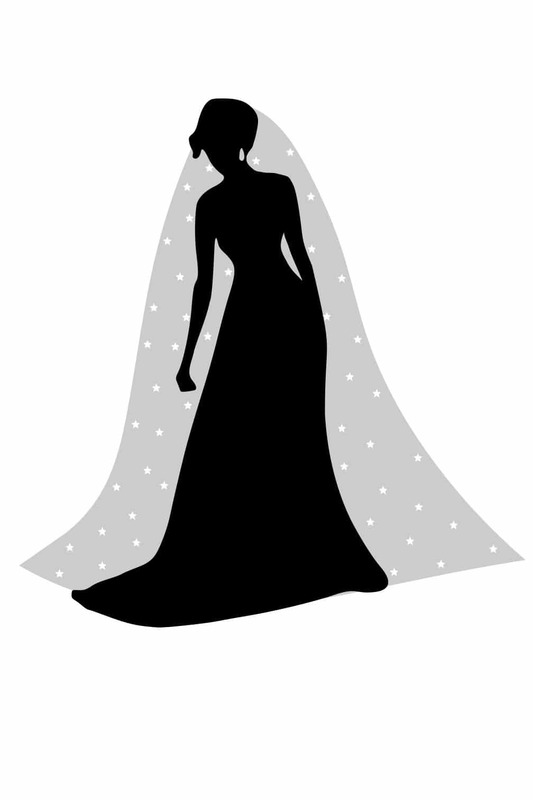 You may have noticed the beading layout section in our Custom Veil Designer, Here, we’ll be explaining about that section and what we’re actually asking you for. Essentially, we have three standard options available for your beading layout in whichever beads, or combination of, you’ve decided on. Obviously, we can do a lot more than these three layouts upon request, but if you’re ordering via the Custom Veil Designer, these are the three options you will see. Our scattered layout is the most subtle of the three options. Applied randomly, the beads are scattered here and there to catch the light. It’s a very popular option, particularly in the diamantes which are also quite dainty and subtle. A light scatter is ideal for those brides who just want a touch of sparkle, but not too much. Perhaps they feel their dress already has enough going on, or they’re just not a very blingy type of girl. Hey, it takes all sorts. No judging here. 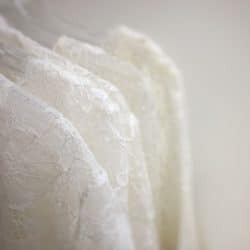 The border layout is another way of ensuring the beading is fairly subtle as it’s only on the outer edges, leaving the main body of the veil clear for your dress’ own detailing to show through. 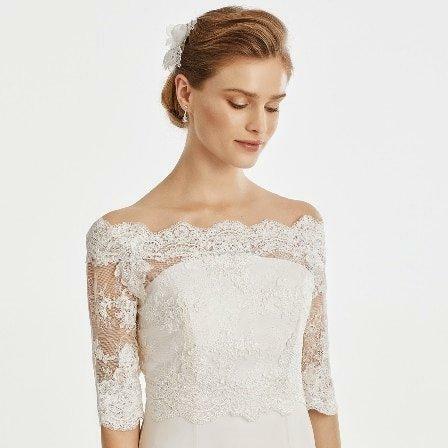 We particularly love how this option looks when it sits against a bride’s bare arms and shoulders – it really stands out and looks lovely there. 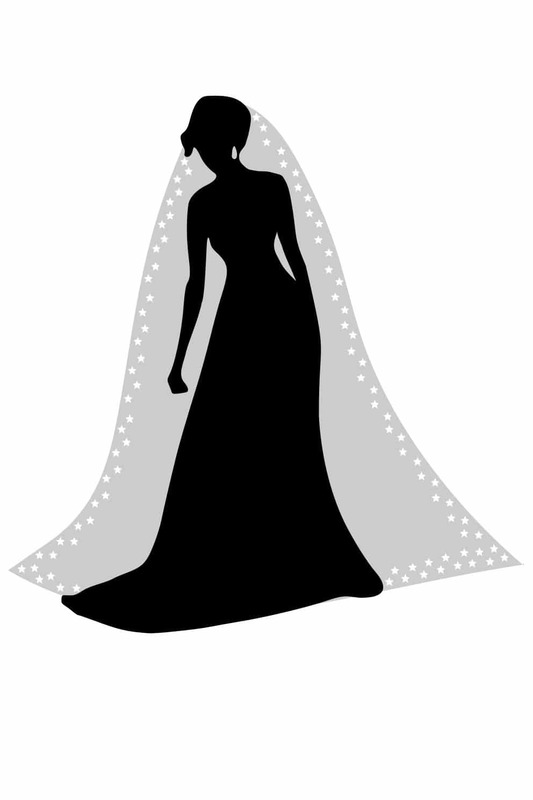 And on a full-length veil, the border looks pretty sitting just beyond the edges of the train, as shown here. Our falling stars option has always been so popular for us. 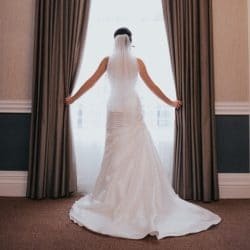 It starts out as a random scatter at the top of the veil, approximately 8-10″ apart, and as you move towards the bottom, the beading gets closer together until it’s only 1-2″ apart. The idea is that it looks as though the beading has fallen and collected at the bottom of the veil. It looks amazing on long veils when the heavily beaded section fills in the entire curved base of a chapel or cathedral veil. So, there we have it. The three main beading layout options available for veils with crystals, pearls, diamantes, or a combination of beads. I hope this guide has shed a light on the differences between the layouts and the amount of sparkle each one would produce. If you haven’t already, don’t forget to check out our guide on the beads themselves. You’ll find that here: Veil Beading Options.